Chickens are the perfect animal for a permaculture system. They convert food scraps to eggs, clean up weeds and fallen fruit and are a great source of manure – the skill is to set them up to work for you and not against you! 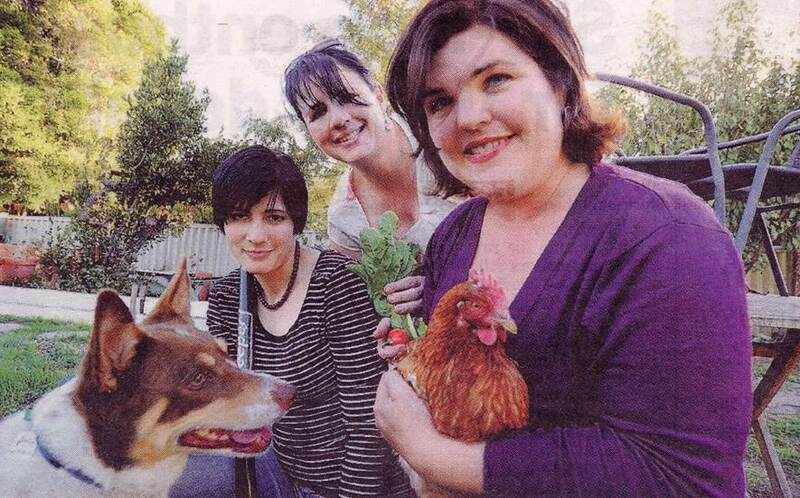 In July the TTG Kitchen Gardeners’ Society are meeting to learn about keeping backyard chooks. If you want to know how to set up a run for happy chooks, how to feed and care for them, and how to choose the right chickens for your requirements, then please join us. We’ll also be talking about adopting battery-farm hens: where to get them, the advantages and disadvantages, and how to provide for their unique needs. As this event is at a private home space is limited and bookings are essential. Please email guildfordkitchengardeners@gmail.com or call Elizabeth on 0417 718 051 to RSVP. This entry was posted in Event, Food, Waste & Recycling and tagged Chooks, DIY gardening, Kitchen Gardeners, Veggies. Bookmark the permalink.